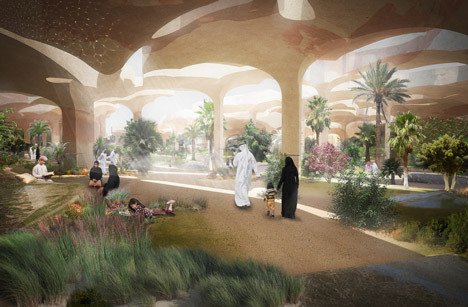 News: British designer Thomas Heatherwick has revealed plans to create a cavernous public park in Abu Dhabi beneath a fragmented canopy resembling the cracked surface of the Arabian desert. 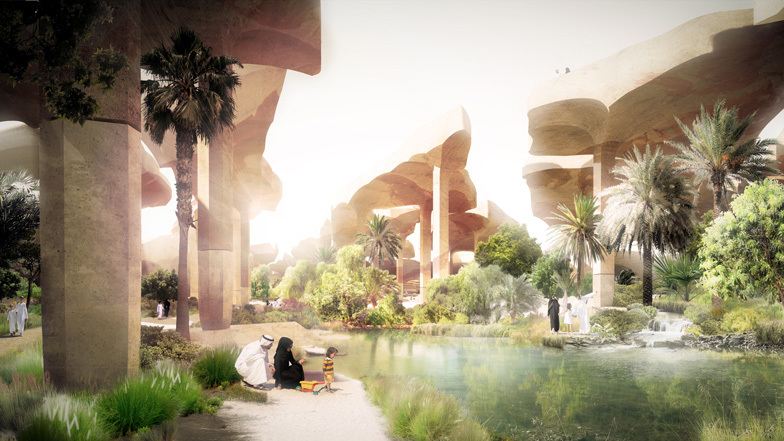 Occupying a 125,000 square-metre site, Thomas Heatherwick‘s Al Fayah Park will provide play areas, picnic areas, vegetable gardens and cafes, interspersed with a variety of plants and flowers native to the Gulf. A series of columns will support the floating roof canopy, beneath which the designer will also add a public library, a mosque, an outdoor cinema, and indoor and outdoor performance spaces that can be used for live music, festivals and community events. Construction is set to begin on the project later this year, with the park scheduled to open in early 2017. It will be funded by non-profit organisation the Salama bint Hamdan Al Nahyan Foundation. “The park will incorporate a plethora of activities and unique features that support the foundation’s key pillars of education, arts, culture, heritage and health,” said Iman Khouri, a spokesperson for the foundation. 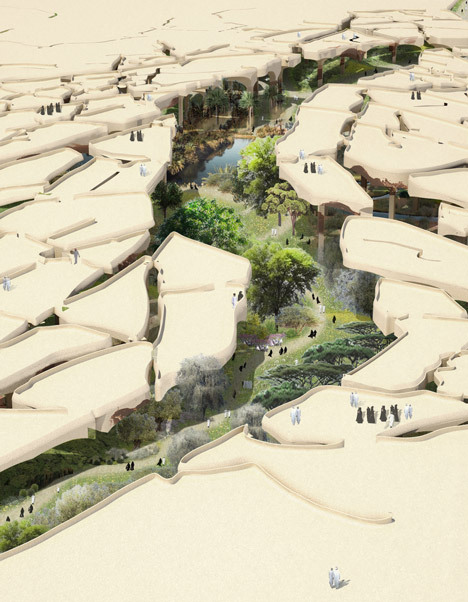 “It will be reminiscent of traditional design inspired by the UAE desert, but thoroughly modern in its presentation that will attract both local residents and international visitors alike. As such, it puts Abu Dhabi among the world’s leading global cities for innovative outdoor public spaces,” he added. Mashrabiya is a great tradition in the Arab architecture, which has become part of the interior design. Creating real estate projects in the East, we use this design element to emphasize the color and make interiors and exteriors more expressive.